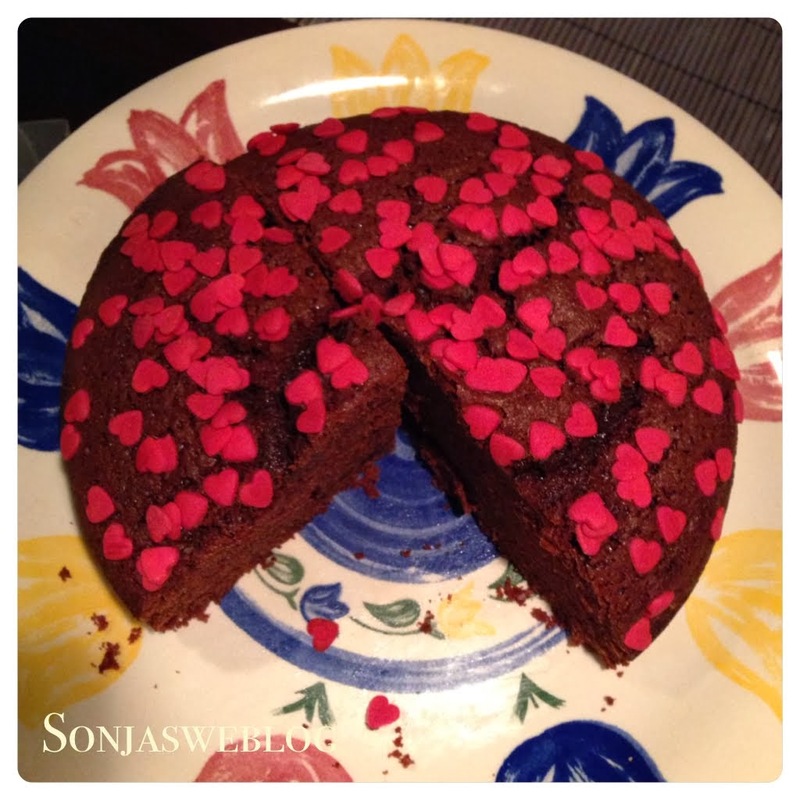 This our chocolaty chocolate cake with red sugar hearts we had for breakfast this morning. Well, not the whole cake but the slice that is missing in the picture. It's a very soft and moist chocolate cake that we love a lot. So today was the right occasion. I will share the recipe in a later post. 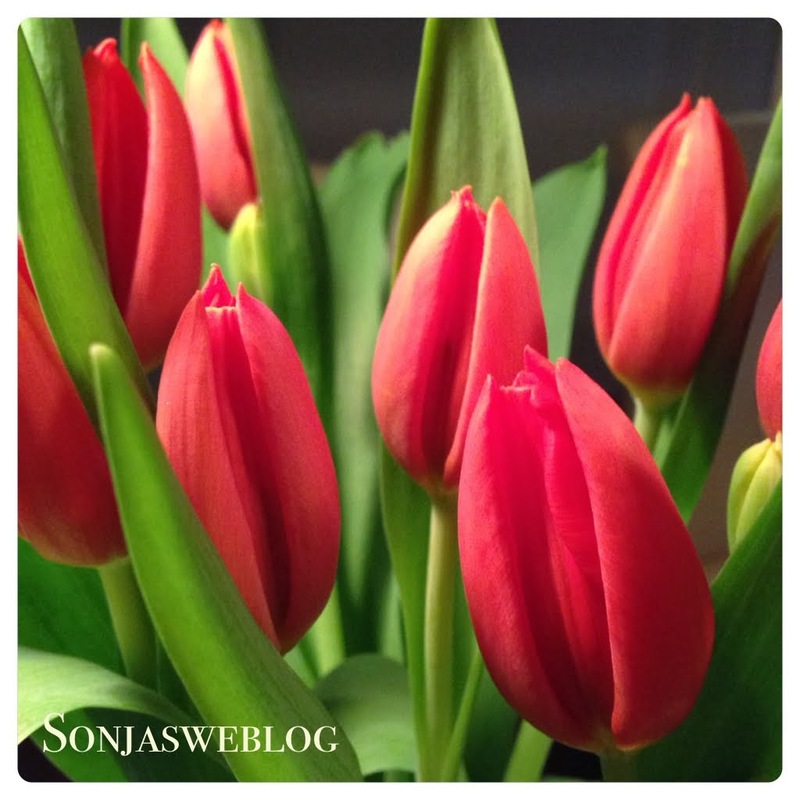 And a bunch of red tulips to make it a perfect Valentine's breakfast. Happy Valentine's Day for you too! Loved the little pink hearts, very cute :-) Happy Valentines!!! !